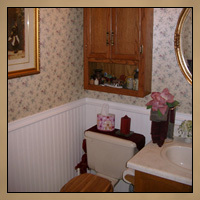 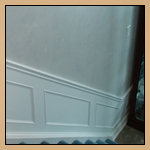 Wainscoting - Custom Wood Paneling This wainscoting project included custom millwork to create a chair rail that has a decorative but functional set of grooves along the top, similar to a dish rail, for the purpose of safely leaning artwork against the wall. 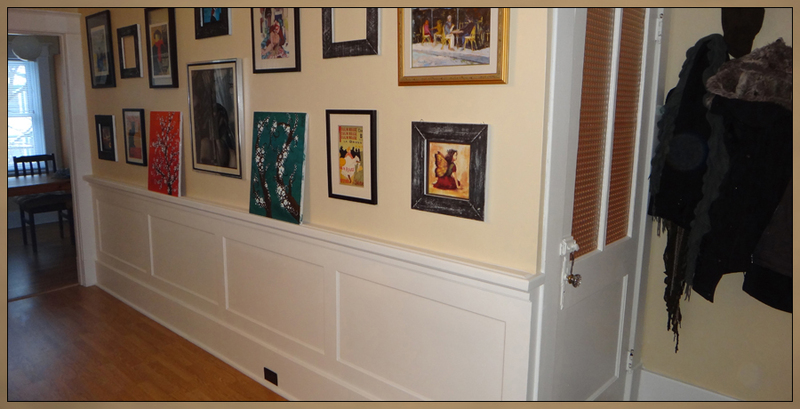 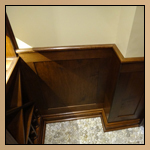 Custom baseboard was also milled to match the original baseboards. 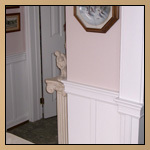 This rail and stile type of decorative wall paneling offers a wide array of design possibilities and configurations. 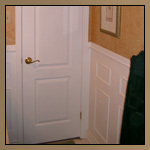 For this project, a simple repetitive pattern with flat recessed panels was used. 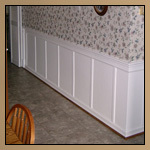 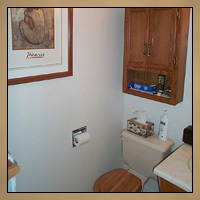 The wainscoting makes this into a feature wall for the room.